Honestly, one of the best things about Halloween is getting to go a little crazy with the nail art. Most seasons we’re pigeonholed into a perfect little manicure that looks nice, but doesn’t really let our freak flag fly. 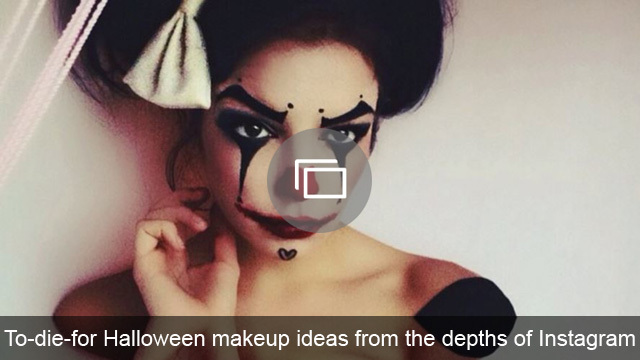 That’s why it’s so refreshing when things get a little messy around Halloween. Nail art inspiration is everywhere this season — from the candy corn on drugstore shelves to the pumpkins sitting on neighborhood stoops — but, personally, we love it when we can make things monster-ous. Begin by painting nails with a neutral base color like white or tan. Dab a few drops of blood-red polish onto a paper plate or a piece of newspaper. 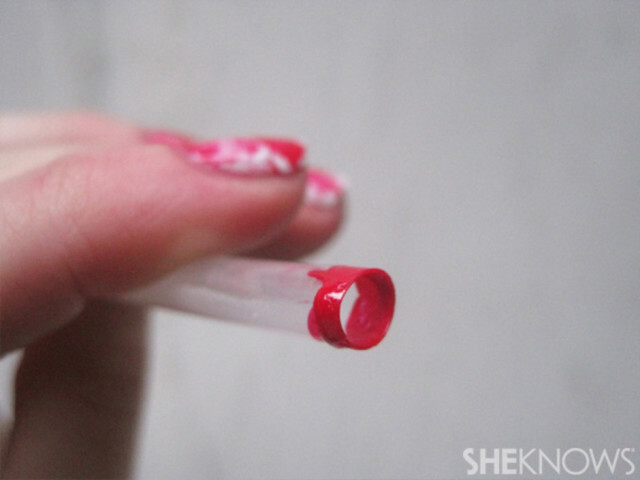 Dip the end of an ordinary straw into the red polish, picking up a ring of color on the tip of the straw. Position the straw one-half inch over one nail and blow a strong puff of air into the other end. 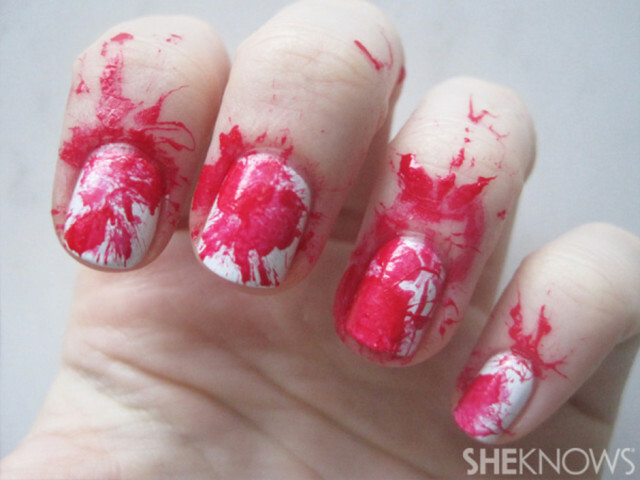 The red polish will splatter across the nail. Continue splattering each nail, adding more polish to the straw as you go. At this point, you’ll have plenty of splatters outside the lines. Dip a cotton ball in nail polish remover to clean up large areas of splattered skin, and use a small makeup brush or Q-tip for the detailed work around your nails and cuticles. Finish with a glossy top coat for shine and protection! 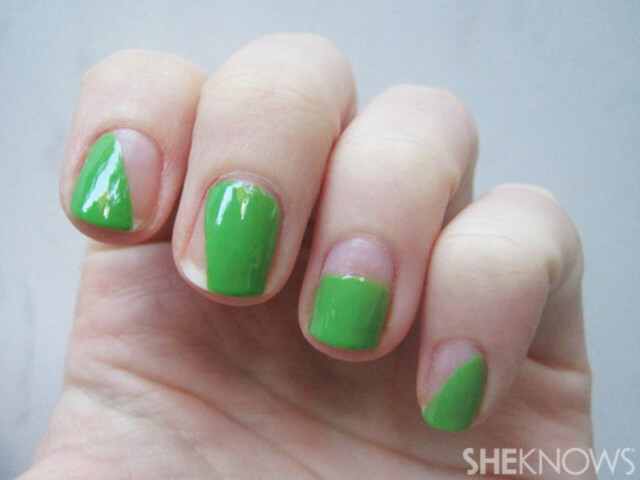 Begin by painting a portion of each nail with bright green polish. 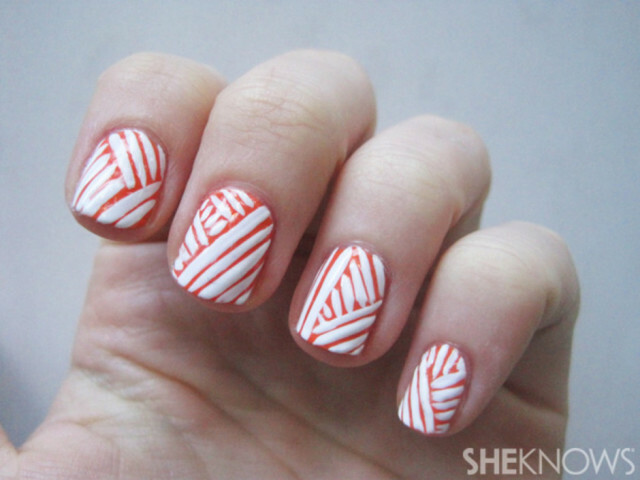 Create variation by painting diagonal sections on a few nails, just the tip on others, etc. 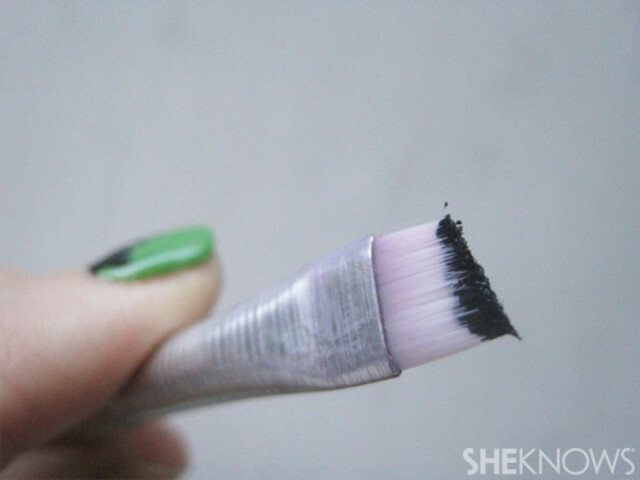 Apply a small amount of black polish to the tip of a thin paintbrush (a slanted eyeliner brush works well here). 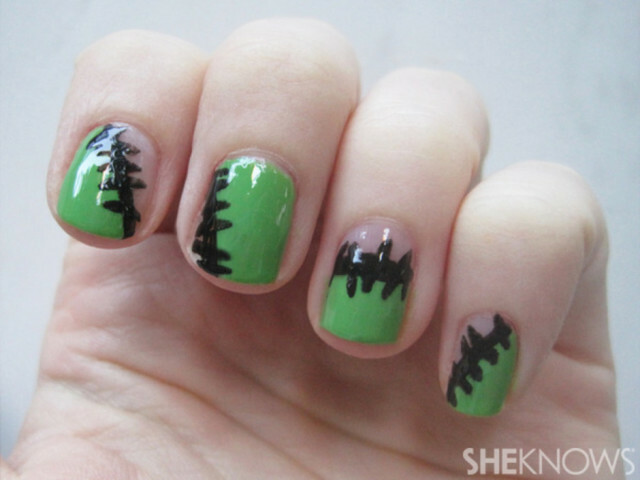 To create the Frankenstein-inspired scar, carefully draw a long line of polish along the edge of the green section of your nail. Add a few short “stitches” along the line. Don’t worry about perfection here — jagged lines are just fine! Let the black polish dry completely to avoid smearing, and then apply a clear top coat to smooth any bumps and add some shine. Choose a base color for your nails — either black for a more traditional “mummy” look, or play around with another festive shade. 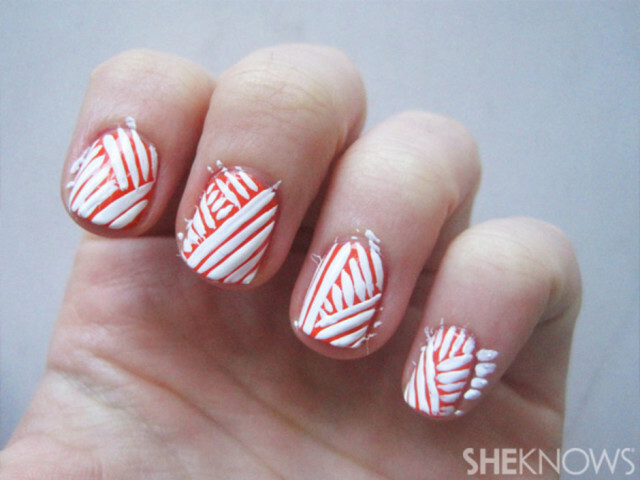 Use a white nail art brush or pen to cover each nail with thin lines, alternating directions to create a “wrapped” look. Begin by making several parallel horizontal lines, then make a few vertical lines, and so on. Continue until you’ve covered each nail. Don’t worry if your lines aren’t perfectly even — the results will still be impressive. It’s difficult to cover your nails in lines without spilling over onto your skin, so dip a Q-tip or a small paintbrush in nail polish remover to clean up around the edges for clean, crisp results. Let your nails dry completely to avoid smearing, and then add a top coat to add some shine to this intricate look. These spook-inspired designs are sure to get you in the holiday spirit. 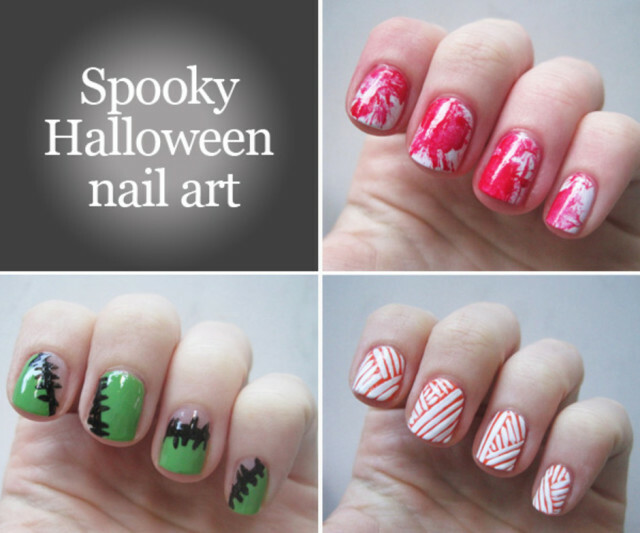 Let your nails do the talking this Halloween!